Plans are well advanced for next month’s Gala at St John’s Smith Square in Westminster. 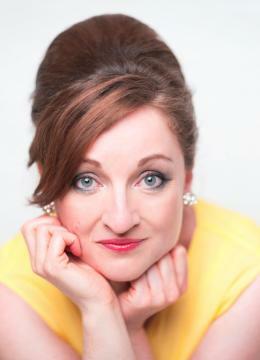 The Gala features Ailish Tynan as well as Irish baritone Owen Gilhooly and introduces baritone Sean Boylan and soprano Sarah Brady, recipient of the 2017 Royal Dublin Society Music Bursary. The four singers will perform an evening of ensembles and arias from well-loved operas featuring highlights from Puccini’s Tosca and La Bohème, Mozart’s Don Giovanni and Balfe’s The Bohemian Girl in the beautiful surroundings of the 200 year old English Baroque church. The audience will be treated to performances of Gounod’s “Juliet’s Waltz Song”, Mozart’s “La ci darem la mano”, Puccini’s “O Soave Fanciulla” and Balfe’s “I Dreamt I Dwelt in Marble Halls” among others. They will be accompanied by James Bailleau on piano and Jean Kelly on harp. James is an accomplished chamber musician, soloist and accompanist. Jean is well known to Irish Heritage audiences. Irish Heritage is pleased to announce that Michael and Giancarla Alen-Buckley have become patrons of the organisation. Both are well known in music circles and are enthusiastic supporters of the development of talented, young musicians and singers. Alongside this, a series of recitals will bring renowned singers and musicians to the area, while also giving a vital platform to new talents, at a crucial stage in their careers, making the Blackwater Valley the place to go to discover the stars of the future. These are those new names that soon everyone will be talking about. Irish Heritage Award recipient, Adam Heron, and runners-up Maria McNamee and Rebecca Murphy will perform at the Festival’s newest venue, Dromore Yard, a romantic restored 18th century farm on the river banks. This special event is presented as a double bill with guests from the Garsington and Nevill Holt Operas. Not to be missed. The Blackwater Valley Opera Festival, Ireland’s most beautiful summer music festival, runs from May 29th to June 3rd 2018. I am coming towards the conclusion of my studies at the Royal College of Music and am preparing for orchestral auditions in the coming months. It remains to be seen if I remain in London or move elsewhere. The bursary was particularly helpful for me over the course of my first year and during the summer. While the majority of the bursary was used to help with RCM fees, I also purchased a 1920 Weichold bow which I use daily. The remainder, along with funding from the Arts Council in Ireland was used to attend the MusicAlp Course in Tignes, France in August. This preparation was invaluable for my second year of Masters. Apart from the funding, Irish Heritage have been extremely helpful in me establish contacts in London. The prizewinner’s concert in Leighton House provided me with a great platform to showcase my work. Other engagements at the Irish Embassy and The Ireland Funds St. Patrick's Day were also fantastic opportunities for networking. Irish Heritage was also very helpful in advising on programming for these events. Last year’s Irish Heritage Music Bursary recipient, Adam Heron has been shortlisted for the BBC Young Musician of the Year award. Visit bbc.co.uk for more information. Fiachra Garvey has been in touch to announce that tickets are now on sale for the Second West Wicklow Festival which will take place between 17th and 20th May 2018. The 2018 Festival Programme features internationally acclaimed clarinet virtuoso Julian Bliss, principal cellist of the Scottish Chamber Orchestra Philip Higham, the award-winning Benyounes Quartet, renowned Irish baritone Gavan Ring; and the Festival’s Founder and Artistic Director, Irish pianist Fiachra Garvey.